Many local petrol heads will fondly remember the tongue-in-cheek film ‘The Cannonball Run’ with an all star cast including Burt Reynolds, Roger Moore and Jackie Chan, to name but a few. The film was based upon a real event, the 1979 Cannonball Baker Sea-To-Shining-Sea Memorial Trophy Dash. The film’s screenwriter was Car and Driver automotive journalist Brock Yates, who had originally proposed the event. Yates said that the race had only one rule: “All competitors will drive any vehicle of their choosing, over any route, at any speed they judge practical, between the starting point and destination. The competitor finishing with the lowest elapsed time is the winner”. The road race was held four times in the 1970s, starting at the Red Ball Garage on 31st Street in New York City and ending at the Portofino Inn in Redondo Beach, California. It was a fun and covert event, with drivers on call and waiting for a secret code to turn up at the start in the middle of the night. Move forward 33-years and motoring fans can get a feel of what the event was all about as in 2012 the event will make a stop in Barcelona. Local car clubs, such as the Sunday Drivers Club (www.sundaydriversclub.com) are already looking at running their own convoy to the event. 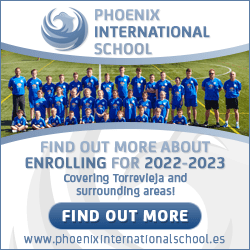 They plan to be in Barcelona on September 6, for arrival of the fifty entries on Day Two of the event, who will be driving down the west coast of France, over the Pyrenees, into Spain, arriving in Barcelona from 5.00pm. The event’s Barcelona overnight stop is the ultra-modern and trendy Hotel Arts, situated on the beach front. On 5th September 2012 fifty supercars driven by a myriad of celebrities and prestige car owners will embark on a 2,000 mile journey over five days taking them from London to Paris, via Barcelona, Monte Carlo and Milan, raising funds for children’s charity Dreams Come True (www.dctc.org.uk). With entries ranging from the rare to the exotic, such as a DeLorean DMC-12 – as film fans will recognise from the Back to the Future films – and a Lamborghini Gallardo LP570 Performante, the Cannonball 2000 is guaranteed to turn heads on its route across Europe. Prestige British models such as the Bentley Speed, Bentley GTC convertible and a number of Aston Martin’s, including a 1999 DB7 Vantage Volante (convertible) and several DB9 models, join more traditional entries including a Range Rover Sport, Jaguar XK and a large number of BMWs and Porsche entries. Ferrari fans will be pleased to see a number of entries from the iconic marque including a California, 430 and 360 Modena, while the Japanese petrol heads are represented by Nissan Skyline and 350Z GT Roadster. Cannonball 2000 is a chance to be a part of a journey like no other. From the official formation grid start at the London Hilton Park Lane Hotel on 5th September, the event takes in dramatic scenery along a rewarding driving route complimented each evening by exclusive VIP experiences including a beach front party at the Hotel Arts in Barcelona, to Monaco’s famous Casino and nightclub of the rich and famous Jimmy’s, taking in the ambience of the F1 Grand Prix in Milan to the grand finale in Paris. 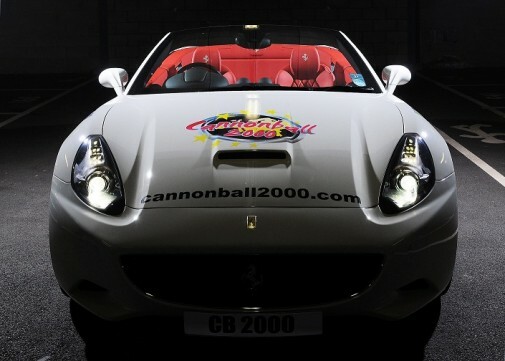 Celebrities already signed up and confirmed as Cannonball participants are former twice world champion boxer Ricky Hatton who will be driving his Bentley GT Speed, ITV’s Emmerdale star Kelvin Fletcher and Coronation Street actor Ryan Thomas. Ricky Hatton says of the Cannonball 2000: “This is the first ever time I have taken part in anything like this and I can’t wait. I am taking my luxurious Bentley as I felt my three wheeler Robin Reliant – just like the one in Only Fools and Horses – would look very much out of place on this journey.” For regular updates on Cannonball 2000 visit the official site, or follow on Twitter and Facebook.